AmericasMart Atlanta, the nation’s largest wholesale marketplace, was running a legacy HPE wireless network supporting up to 40,000 concurrent connections and 35,000 users in a 7.2 million square foot facility. AmericasMart wanted to replace its aging wireless infrastructure with a new solution that would provide traffic data analysis to improve visitor navigation and enhance the customer user experience. AmericasMart was also interested in better serving its customers by providing enhanced WLAN connectivity and performance via a pay-for-enhanced-access model. 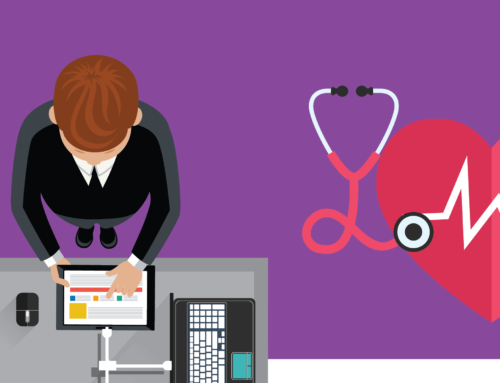 When the wholesale giant began its search for an improved solution, the IT team started by evaluating the features and characteristics of the various bestin- breed WLAN manufacturers and products. The quest for a large enterprise solution ended after a visit to HPE headquarters and the San Francisco 49ers home, California’s Levi Stadium, which in 2015 broke a record for the “final big game’s” WLAN use with more than 18,000 documented and sustained simultaneous users. 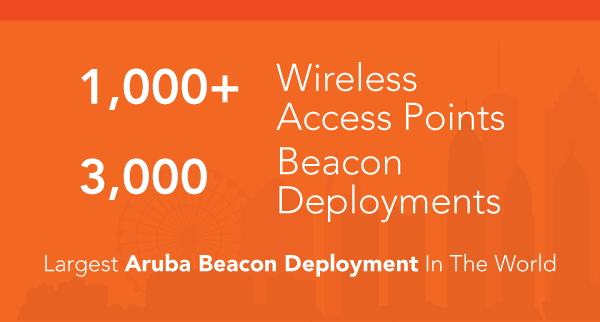 Working in concert with HPE Aruba, Driven Technologies provided a migration plan that included the design, installation and configuration of more than 1,000 wireless access points and 3,000+ beacons in a controller-based architecture (the largest beacon deployment in the world). Driven Technologies and Aruba proposed a solution utilizing Meridian Beacon technology to provide navigation services, ArubaOS 8.0, Clearpass for Network Access Control and Airwave for advanced reporting. The timing of the installation between scheduled events was critical. With no room to fail, it was imperative that AmericasMart select the most featurerich and reliable product solution in the market (HPE Aruba) delivered by the premier network engineering partner in the region, Driven Technologies. The installation and migration was a resounding success with the technology meeting all the customer requirements and the installation being completed successfully, well within the customer’s timeframe for the project. Driven Technologies will continue to provide proactive managed services support to AmericasMart’s IT team to assist with the ongoing care, feeding and support of the wireless network.